A lovely little Studio Cottage for two situated on Dinas Island and close to Cwm yr Eglwys and Pwllgwaelod beaches and within a couple of hundred yards of the coastal path. 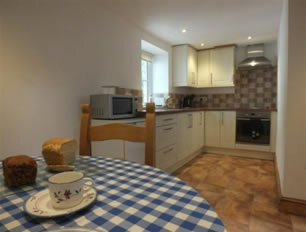 The Old Workshop enjoys a spot at the heart of the working farm and is located opposite the main farmhouse. Entrance is into the open plan KITCHEN AND DINING ROOM which has a tiled floor and is fitted with a range of Shaker style units incorporating an electric oven and hob, fridge/freezer, microwave and a dining table with chairs. There is a washing machine available in the farmhouse utility room if you need it. 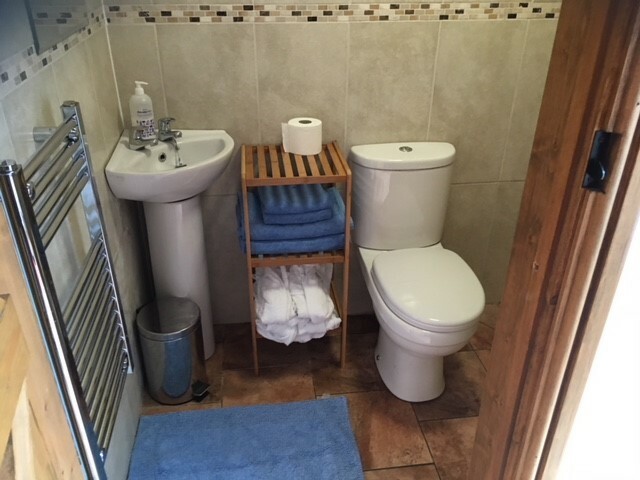 The SHOWER ROOM is downstairs and has a wet room shower with tiled floor, WC and hand basin. Stairs lead to the large BED-SITTING ROOM which has windows on all 4 sides affording farmyard views. 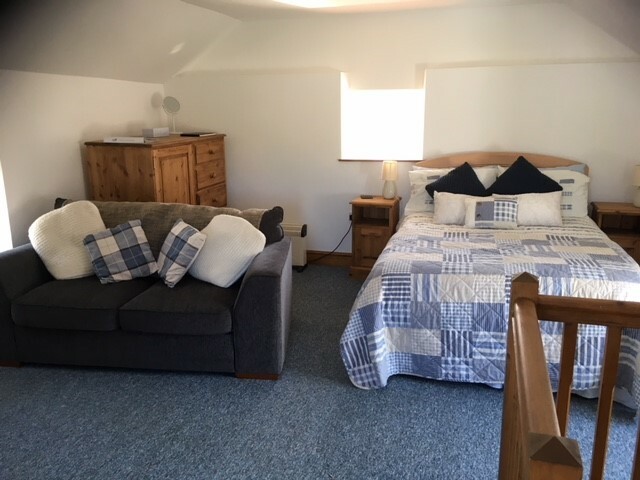 The sitting area is furnished with a comfortable sofa (which converts to a double bed for occasional use), coffee table, wardrobe, chest of draws and a TV & DVD player. There are night store heaters throughout the cottage, electricity is included in the rental.